Diced watermelon with poached Calamari Rings, crispy prosciutto, roasted serrano peppers and julienned red onion. Spoon balsamic glaze onto the plate and place watermelon on top. 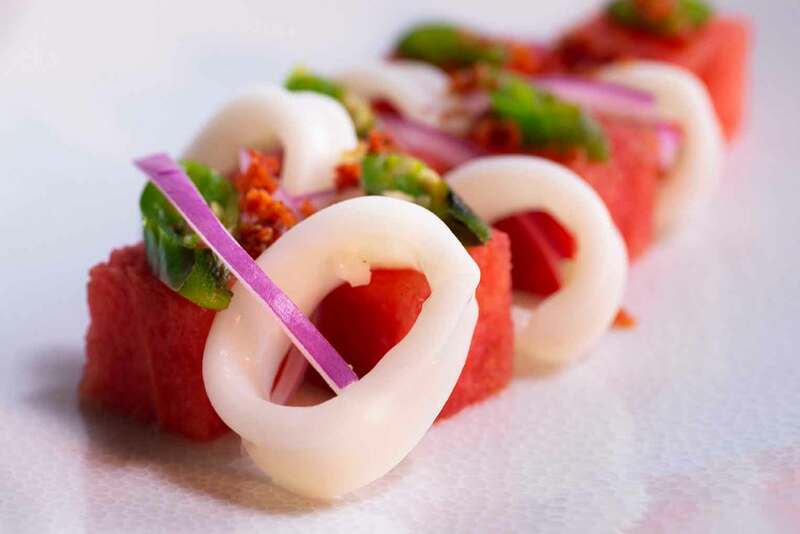 Top the watermelon with Calamari Rings, serrano peppers and red onion.